At the same time CapitaLand is selling Ascott Raffles Place Singapore and Ascott Guangzhou in China. 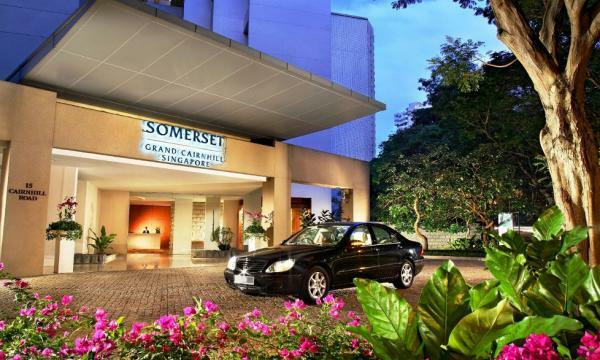 Ascott Residence Trust has entered into a conditional agreement with The Ascott Limited and CapitaLand Residential Singapore Pte Ltd, both wholly-owned subsidiaries of CapitaLand Limited, to divest Somerset Grand Cairnhill Singapore at S$359 million. The announcement said this translates to a 3.8% implied exit EBITDA yield which enables Ascott Reit to recognise a gross divestment gain of S$87.1 million. Meanwhile Ascott Reit has also entered into conditional agreements with CapitaLand to acquire the premier Ascott Raffles Place Singapore, Ascott Guangzhou in China, and a new serviced residence with a hotel licence, the New Cairnhill SR. The New Cairnhill SR will be built together with high-end residential units for sale by CapitaLand as part of the redevelopment of Somerset Grand Cairnhill Singapore. According to the release, Ascott Reit was granted Outline Planning Permission and Provisional Permission by the Urban Redevelopment Authority to redevelop Somerset Grand Cairnhill Singapore into an integrated development comprising 40% for hotel use and 60% for residential use. However, Ascott Reit is not permitted to undertake the redevelopment due to restrictions under the Property Funds Appendix in the Code on Collective Investment Schemes. The divestment of Somerset Grand Cairnhill Singapore and acquisition of Ascott Raffles Place Singapore, Ascott Guangzhou, and the New Cairnhill SR are said to be yield accretive. On a pro forma basis, FY 2011 Distribution Per Unit is expected to increase 4.1% from 8.53 cents to 8.88 cents. The transactions, excluding the acquisition of the New Cairnhill SR which is expected to be delivered to Ascott Reit in 2017, are also yield accretive. The total investment for the yield accretive acquisitions is S$688.3 million. Ascott Raffles Place Singapore will be acquired at S$220 million at 4.1% EBITDA yield. Ascott Guangzhou’s purchase price is S$63.3 million at 5% EBITDA yield. Ascott Reit will acquire the New Cairnhill SR at 4.5% EBITDA yield at an agreed price of S$405 million.